Built around 1731, St George's Historical Society Museum is one of the oldest and unique buildings in Bermuda. Now a museum, it used be a private home once known as Mitchell House. Originally the house was built by a person called Walter Mitchell. However it changed hands several times. The house was later owned by Isabella and William Archer. They were one of the most successful black couples of Bermuda who owned their own slaves. They ran The Gun Tavern, a successful restaurant frequented by sailors and soldiers stationed in the town. 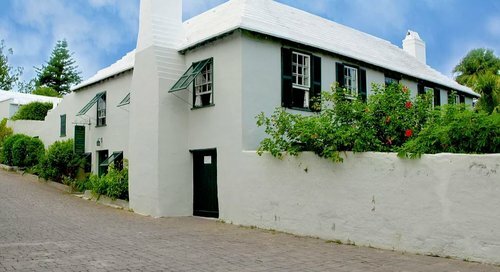 As you climb the armed stairs and go inside, you will get a feel of how a Bermudian life was in 1700s. All the day to day household items and artifacts have been retained. Some of the old artifacts include ax heads, whale-blubber cutters, 300-year-old Bible, and a letter from George Washington. 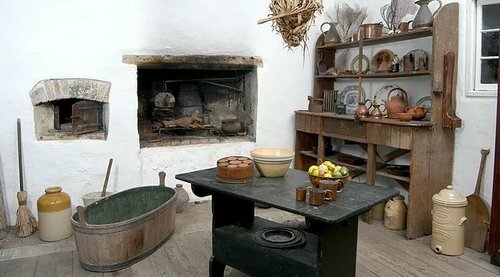 But the kitchen with all its old utensils is probably the highlight in the museum. 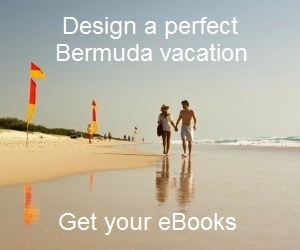 You will see stuff like palmetto baskets and calabash dipping gourds. You will see a window with bars in the cellar which was brought in from the old jail in St. George's (now the post office). The Methodist preacher Rev. John Stephenson used to preach through this window when he was imprisoned in the year 1800 because he did not have a permit to preach. However black followers of Methodism only continued to grow. Downstairs there is an old printing press with Gutenberg-style printing machines installed. You will also find newspaper samples of old times. There is a beautiful cottage garden at the backside of the museum. Historical Society of St. George's had taken over the property in 1922 and converted it into a museum. Every Wednesday a special tour and demo of the printing press is offered between 10am to 2pm. $5 for adults and $3 for children. Tour and Printing Press demo on Wednesdays, 10am - 2pm. Visit Tourist Map to view the location and other attractions around.